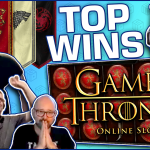 Before we dive into a new and exciting month, we take a look at Casino streamers Big Wins – week 39 / 2017. 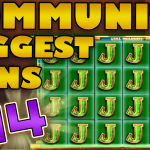 Here we find the best and most epic slot wins on stream, for the last week of September. Or to be more precise, from the 25th of September until the 1st of October 2017. 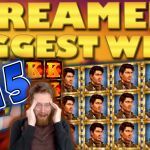 We start Casino streamers biggest wins – week 39 / 2017 with David’s insane win on Dunder casino. The slot streamer was playing the Wizard of Oz Ruby Slippers online slot on a €2.10 bet. It was here where the random feature of the slot activated, giving 4 wild reels. Moreover, the no-wild reel landed two premium symbols. And finally, the 2x multiplier made the win even bigger. The total was a massive €1050 win. What is happening indeed. The 300 Shields slot is really on fire. On the last iteration, we saw Mika win big on the game. And this time it is CasinoTest. The casino streamer was playing the game on a €1.5 bet when he got the bonus. Here, the key is to go all the way to the top and claim the 300x multiplier. And that’s exactly what CasinoTest did, and his reward was a super win of €1946. Finally, if you want to try this casino slot, you will find it at redbet casino. Casino streamers biggest wins – week 39 / 2017 would not be complete without a Novomatic win. To that end, we have Slotspinner’s win on the Flamenco Roses online slot. While playing €3 bets on OVO casino, the slot streamer activated the free spins. This feature is all about the sticky wilds, and Slotspinner landed a number of them. Thus a €1522 huge big win. A lucky win before his trip to Vegas. League of Fortune is a great slot machine that slot streamers don’t play very often. However, last week Huggehugg gave the game a try. 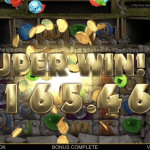 Following a SEK 15 bet at Bon Casino, he triggered the bonus game. Next, Huge took his teddy bear mascot on screen for the entire duration of the bonus. And thanks to him the total win was a huge SEK 7552. Guess all streamers should have a teddy bear with them. If there was ever a doubt for which slot is better, Jurassic Park or the new Jurassic World, this clip will put that argument to rest. Hence, Nick’s win on the first one. The casino streamer was playing £1.8 bets on casino calzone when he triggered the free spins. This was an incredible bonus, full of wild reels, stacked symbol and a £942 final win. However, if you have a better win on the Jurassic World slot, make your argument by sending us the win. 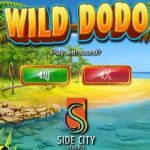 We close Casino streamers biggest wins – week 39 / 2017 with one of the best soundtracks ever made for a slot. We are referring of course to the Danger High Voltage slot. This time it was Slotplayer who got lucky on the game, getting the bonus on a €3 bet. Moreover, the slot streamer, chose the Gates of Hell as the special feature. That was a great decision, which resulted in 2 re-triggers, almost a full screen of wilds and a super massive €5523 total bonus win. 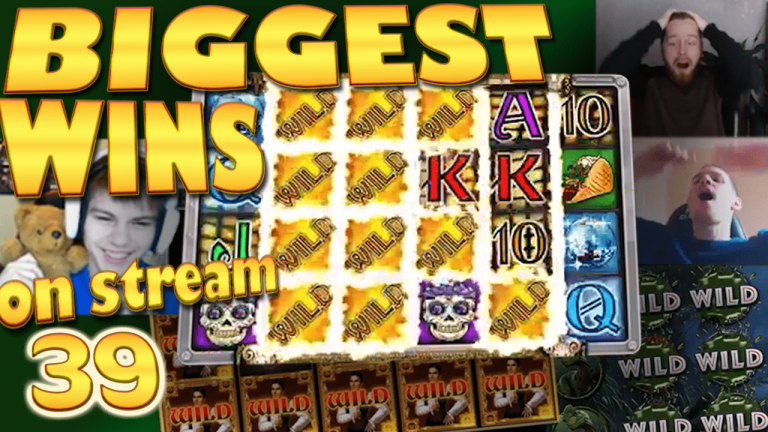 Play this slot at Rizk, for real money, and make sure to let us know which feature do you like best.